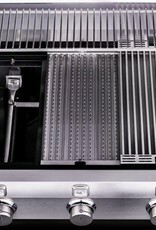 Three burner system set in a porcelain firebox with full stainless-steel lid and front panel. 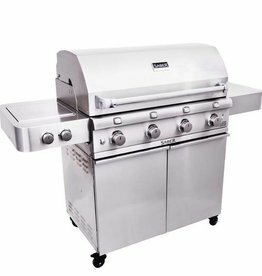 All stainless steel is 304-grade non-magnetic. 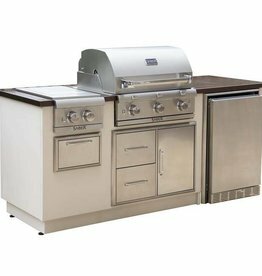 Features full stainless-steel cart and stainless-steel shelves with towel bar and die-cast tool holders. 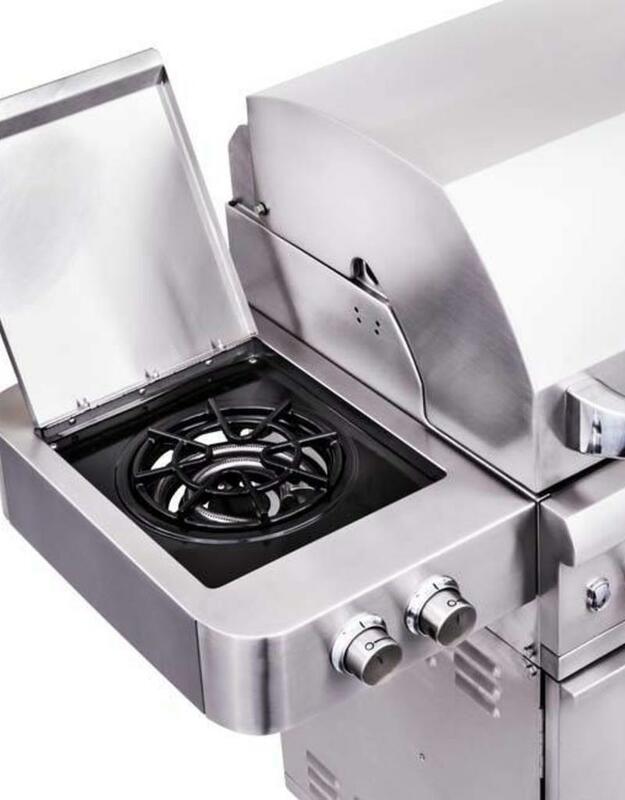 Burner boxes, firebox liners and grease trays are porcelain-coated for easy cleaning. 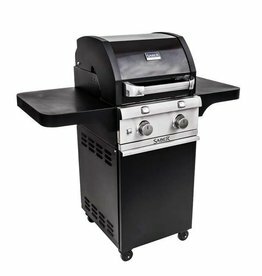 4 heavy-duty nylon locking casters allow for easy mobility. 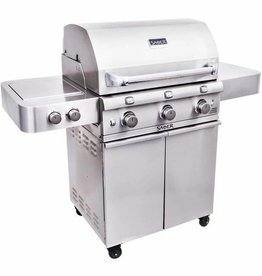 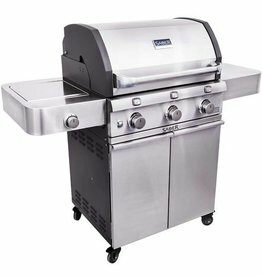 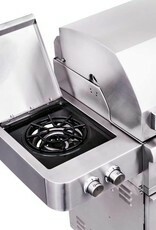 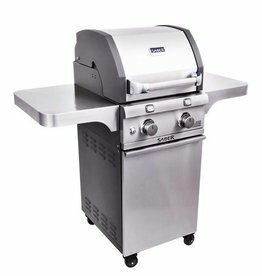 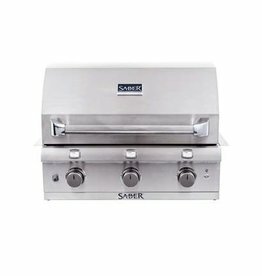 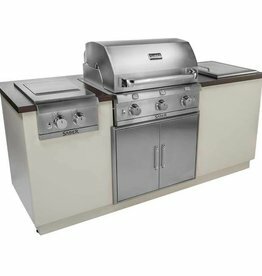 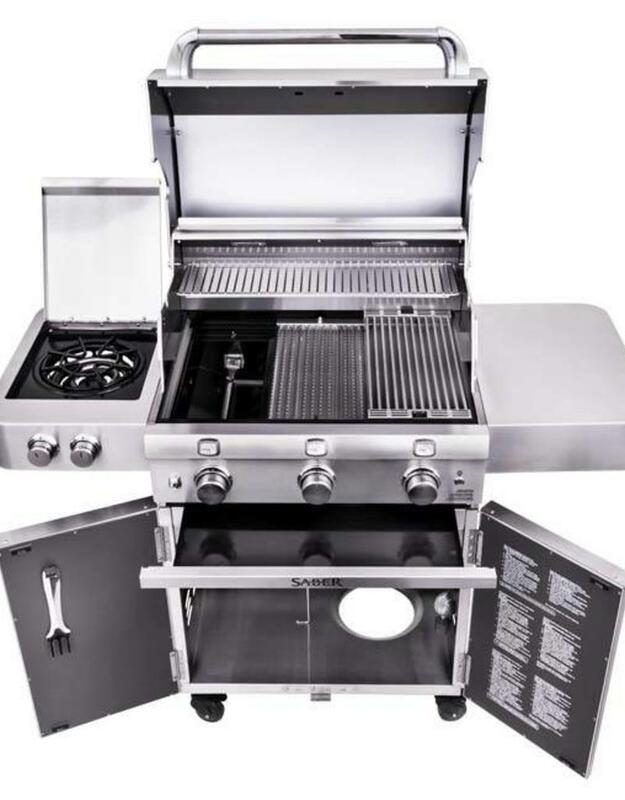 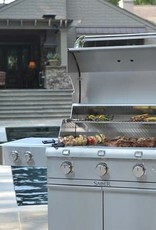 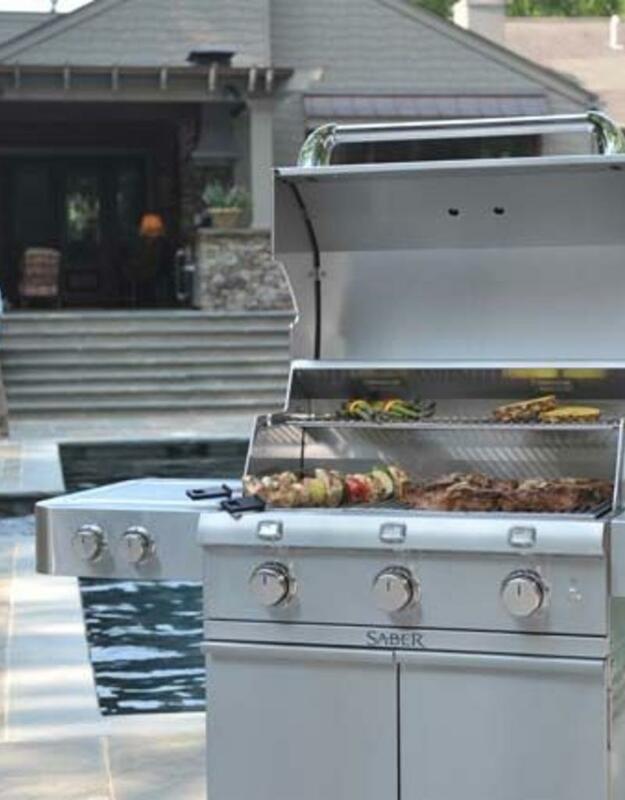 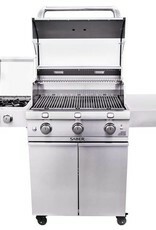 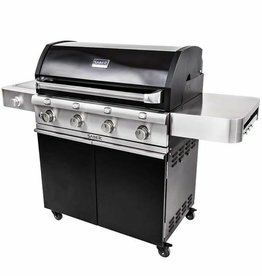 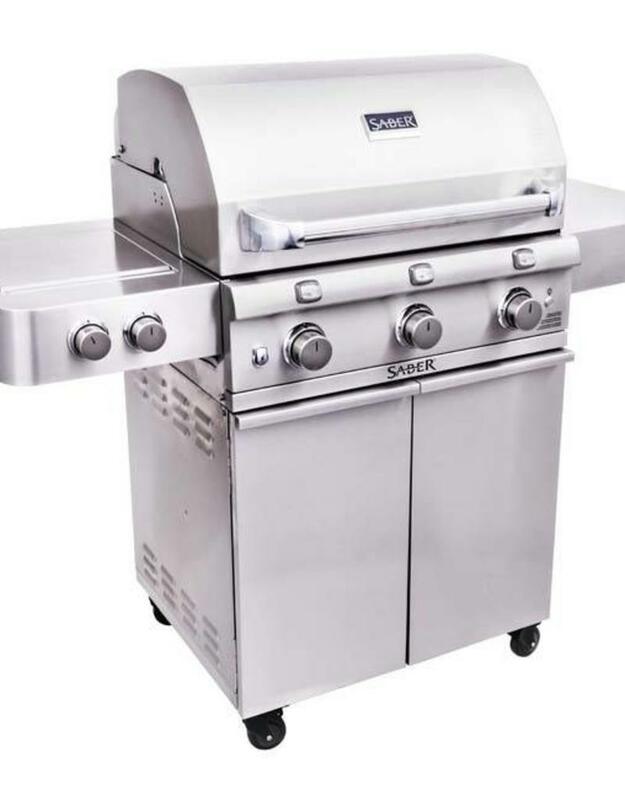 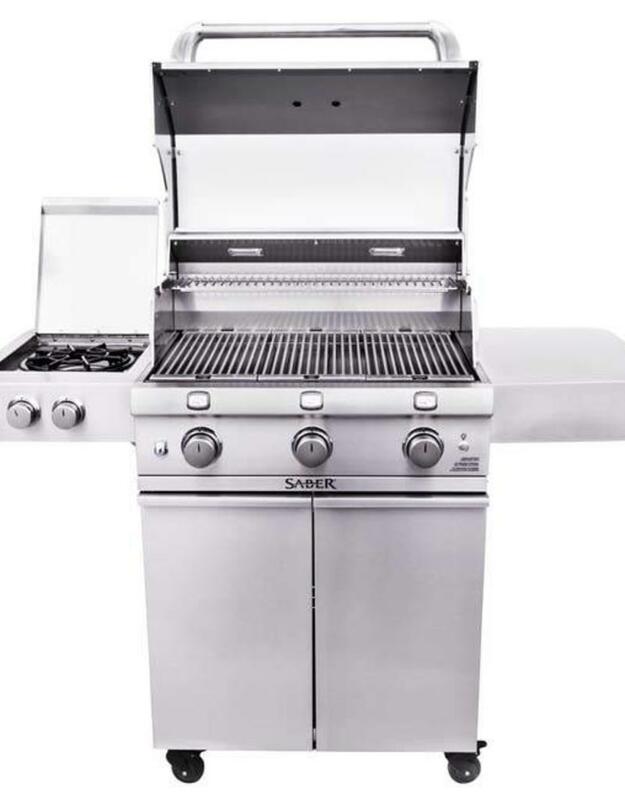 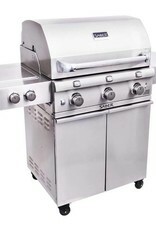 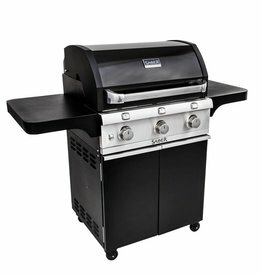 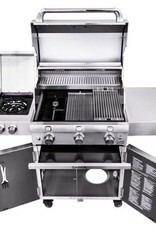 Includes powerful 18,000 BTU dual-control side burner or warming side dishes or added high heat for cooking. 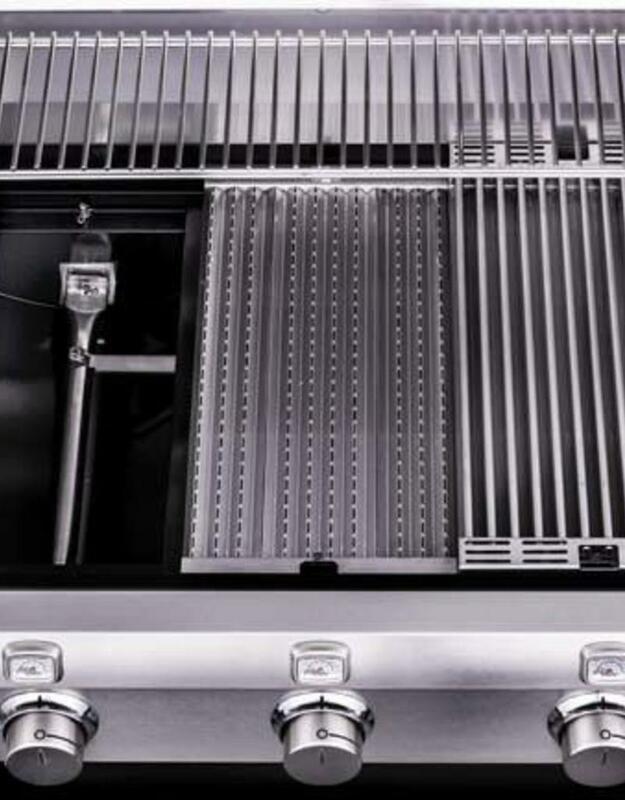 2 Internal halogen lights provide visibility when cooking in the evening.